One excuse that the Haitian government has been spreading every time there is a kidnapping case in Haiti is that the government does not have control over the cell phones the criminals use to process their transaction such as contacting family members, requesting ransom, and actually getting compensation for the crime. 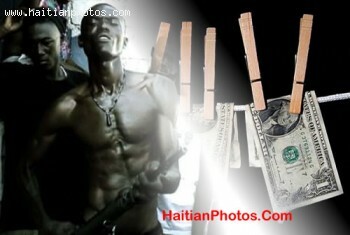 Is the Haitian Government soft on crime? Hopefully a close regulation of the sale of mobile phones and SIM cards in Haiti will make it harder for these criminals. Actually, this is what the Secretary of State for Public Security, Réginald Delva, thinks. As a matter of fact, the Secretary of State for Public Security had for officials of the National Council of Telecommunications (CONATEL) that from now on to take the necessary steps to ensure that all sales of cell phones is registered and asked the National Identification Office (ONI) to help him identify criminals. Any operator of cell phone are now required to control the pre-activation of SIM cards. Digicel Foundation, an organization which is devoted to changing the standards of education in Haiti as well as involvement in meaningful social affairs marked its 5th birthday on an impressive note. 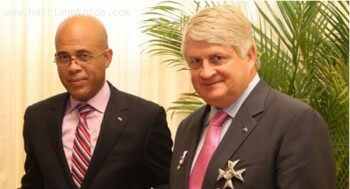 Digicel Foundation has set aside 300 US dollars to better education in Haiti. It has helped in building 720 schools and in training teachers who teach more than 30,000 students who have enrolled in these schools. It is also planning to build 80 other schools, bringing the total number of schools built with its aid to 150. Digicel Foundation's top management is pleased with the work it has done so far. The team further asserts that there is no conflict between it and the government in improving education in Haiti. Rather, the two work together, but in different ways. It concentrates on building schools and training teachers while the government chips in other ways such as waiving fees. The competition in the mobile phone industry in Haiti has come to a sudden stop with the acquisition of Voila by Digicel. 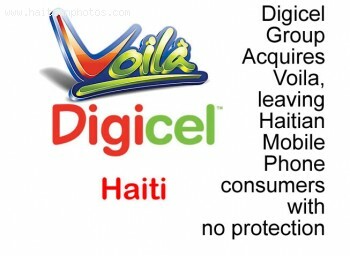 On Friday, March 30, 2012, it was reported that Digicel Group acquired Haitian mobile operator, Voila, from its parent company, US-based Trilogy International Partners. The amount was not specified. My friend, we just witnessed the death of competition in the mobile phone industry in Haiti and you will pay a big price for this very soon. What is the best thing for a business to do when it wants to control a market? Eliminate the competition. Voila, which was previously known as Communication Cellulaire d'Haiti, S.A. (Comcel) is a major telephone company that has been serving Haitians greatly for the past years. Though its operation was quite interrupted in 2010 due to a devastating earthquake, it pushed on and continued to provide its services to thousands of people who need them. Voila's success can be traced back to the year of 1998 when it received a license to build and operate a TDMA mobile communication network across the country. A year later, Voila, a subsidiary of American company Trilogy International Partners, started its commercial service in the capital of Port-au-Prince. Since that moment, it has continued an excellent operation until it achieved the largest mobile phone coverage in the country. What do you do when someone posts something on your facebook page that you don't like? you just delete it. According to information obtained by the "Haitian Joudalist", this is exactly what the Haitian president did recently when someone posted a comment saying that the people are waiting for him to declare his assets. 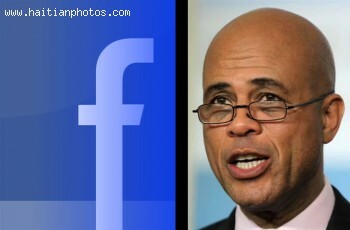 Here is the exact comment that appeared on the Facebok page of President Michel Martelly and was deleted, according to the website: defend.ht: "President, the people are waiting for you to declare your assets and for you to make your education initiative transparent so that the world can begin showing faith in the Haitian government. You are always saying that it is you who is president...lead by example Mr. President! Conille seems to lead the way by declaring his assets!" 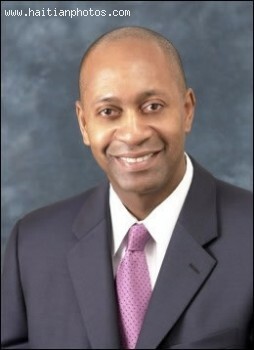 The president of Verizon Foundation, Patrick Gaston, will be the latest member of the Clinton Bush Haiti Fund team. He is expected to join the team on January 17, 2011 as the Senior Advisor in charge of building a network of relationships for the development of Haiti. The Clinton Bush Haiti Fund was founded following the January 12 Haiti earthquake. President Barack Obama requested the support of both Bill Clinton and George W. Bush to lead a fund raising endeavor in order to help the people of Haiti. DHL Express has partnered with the One Laptop per Child Foundation to deliver more than 2,000 laptops to Haiti for use by students and schools hit by the Haiti earthquake. The One Laptop Per Child Foundation of Cambridge was established with the goal of bringing the world's children a low-price laptop. Its founder is Nicholas Negroponte, a Massachusetts Institute of Technology professor. The foundation offers its laptops for sale to governments of developing countries, which can then distribute the machines to poor school children. Imagine each child in Haiti with a connected, rugged, hand-cranked or solar-powered laptop, to use at home and in school. This can provide a unique learning experience and make each Haitian child an agent of change.